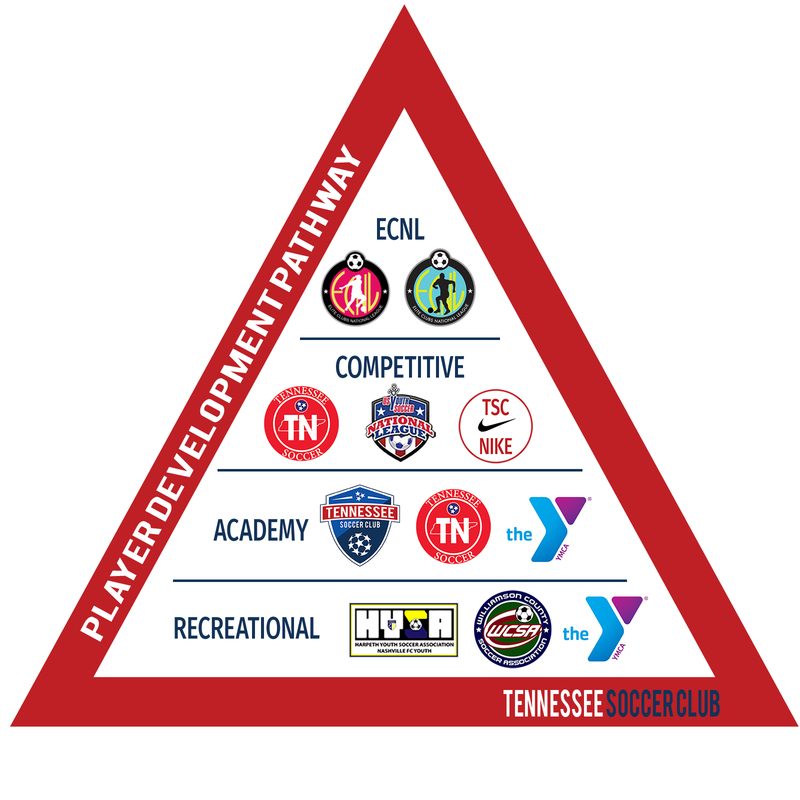 With the recently announced merger between Tennessee Soccer Club, Nashville FC Youth and Murfreesboro FC Youth, an enhanced team structure and Player Development Pathway will be put into place for the 2019-20 season. This new team structure and player pathway will provide the premier youth soccer experience of Greater Nashville. Please note there are changes in the naming of TSC Competitive teams for 2019-20! With our enhanced relationship with Nike, we want to more directly affiliate our club with thier brand and hope that our new naming structure reflects that. “TSC Nike” will become a new tier within the TSC Team Structure in between the ECNL program and Showcase level teams. In the 2019-20 season, TSC Nike teams will only be offered in the U13 and U14 boys and girls age groups. Over the course of the next several years, TSC will continue to add this layer into all U13 boys and girls teams (for example, in 2020-21 TSC Nike teams will be formed at the U13, U14 and U15 age groups). This is a proven pathway that professional clubs use to enhance player development. 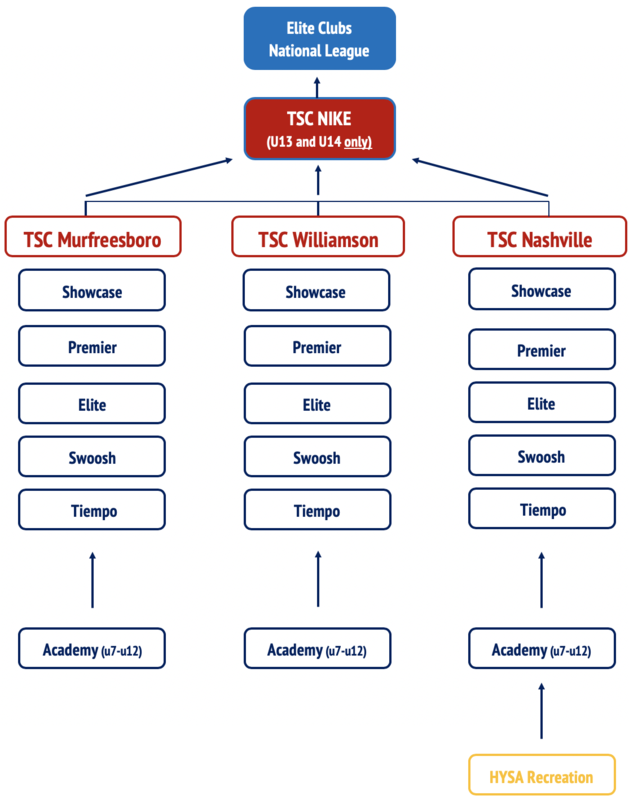 TSC Nike teams will train at the central TSC Williamson location.